February 28: 5 POWER Lessons From 5 Leaders Who Made History On This DAY! End results are the best only when you are interested and passionate about what you are doing. 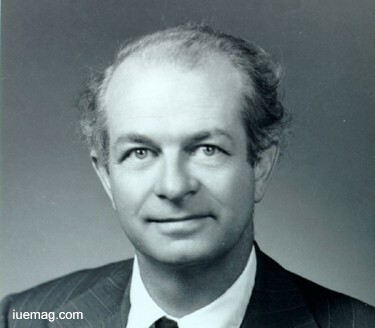 One of the founders of quantum chemistry and molecular biology, Linus Carl Pauling attributes his interest in becoming a chemist to being amazed by experiments conducted by a friend, who had a small chemistry lab kit. Pauling, who strongly decided to study, held a number of jobs to earn money for his future college expenses, enabling him to continue his studies. In his last two years at school, Pauling was inspired by the electronic structure of atoms, which founded his decision to focus on his research on the physical and chemical properties of substances. Thereby, he became one of the founders of the new science of quantum chemistry. He was an American chemist, biochemist, peace activist, author, and educator, who published more than 1,200 papers and books majorly dealing with science. Called one of the 20 greatest scientists of all time, he was rated the 16th most important scientist in history. He is the only person to be awarded 2 unshared Nobel Prizes- Nobel Prize in Chemistry and Nobel Peace Prize for his peace activism. Winning and losing are the 2 faces of a game and is the same for life as well because not everyone can win all the time. Encountered failure cannot persist for longer period of time if you have the spirit to accept failures and work harder for success predominate. 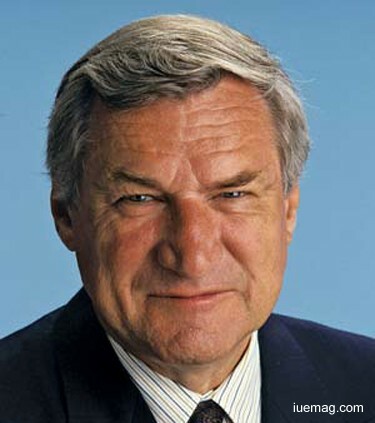 Called a "coaching legend,” Dean Edwards Smith was an American men's college basketball head coach. Coaching for 36 years at the University of North Carolina at Chapel Hill, Smith coached and retired with 879 victories, which was the NCAA Division I men's basketball record at that time. Having the 9th highest winning percentage during his tenure as head coach, Smith’s team won two national championships and appeared in 11 Final Fours. Known for working with purity, after retiring, Smith helped various charitable ventures and liberal political activities. Named all-state in basketball, not limiting his interest only to basketball, Smith also played quarterback and catcher for the high school baseball team. His first season was the only losing season he endured during his career after which, there was no look back. Smith would subsequently go on to turn the program into a consistent success. Smith announced his retirement in 1997, saying that, if he ever felt he could not give his team the same enthusiasm he had given it for years, he would retire. Smith was reputed for creating or popularizing the following basketball techniques: The "tired signal," huddling at the free throw line before a foul shot and creating a number of defensive sets. Creativity can be cultured and stabilized by simulating our ability to imagine. Portraying our visualized ideas to the reality is equally important which completes the talent in us. This person’s journey is sure to give birth to the quality of innovation in each of us. Storm Elvin Thorgerson often placed objects out of their traditional contexts, especially with vast spaces around them which marked the strength of vision in the graphic designer, his works – both solo and with the design collective Hipgnosis, gained recognition from rock fans all over the world. He was an English graphic designer and music video director, best known for his work for various rock artists. Along with Aubrey Powell, he founded the graphic art group Hipgnosis, and alongside, they designed many famous single and album covers. Following the dissolution of Hipgnosis, Thorgerson and Powell formed Greenback Films, producing music videos. Perhaps Thorgerson's most famous designs are those for Pink Floyd. 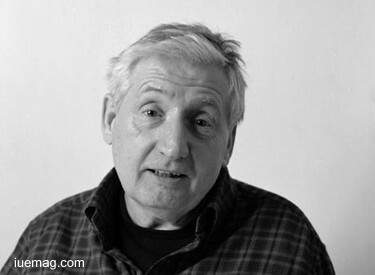 Thorgerson's designs are notable for their fantasy elements. Investing the art of imagination, he transformed his life into a success story that has the power to lead anyone into an achiever’s path. At some point of time in life, all of us face a situation where the whole world including your dear ones, stop supporting you. This is the phase of life which tests your potential and helps you estimate the importance of your dreams and goals to you. 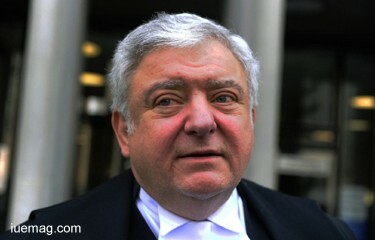 Edward Leonard Greenspan, QC was one of Canada's most renowned defence lawyers and a fruitful author of legal volumes. His fame was reached numerous high-profile clients and to his national exposure on the popular Canadian Broadcasting Corporation radio series, The Scales of Justice (1982–1989) and television series. He received a Doctorate of Civil Laws from the University of Windsor in 2002, Assumption University in 2004 and Brock University in 2012. He was awarded the prestigious Advocates' Society Medal in 2009 and most recently the highest honor to be bestowed on an Ontario Lawyer, the Law Society Medal. Greenspan was an outspoken opponent of the death penalty. He published and/or edited over twenty-five books, comprising legal documentations. Born as William Anthony Cratty in Cleveland, Ohio, Bill Cratty began his dance training with tap and gymnastics lessons at the age of 5. He stopped his lessons because Cratty's brothers teased him about dance and he didn’t resume dancing until high school when he became involved in the school’s musical productions. Cratty went on to attend Ohio University where he received a BFA in dance and left the Limón Company to form his own company, the "Bill Cratty Dance Theatre", which toured internationally and presented eight New York seasons. 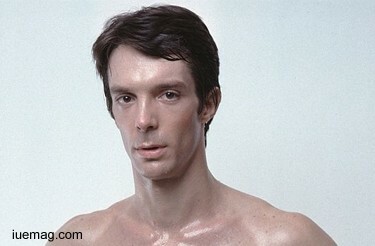 Cratty's work was considered traditional, mainstream, modern dance by critics and was unique in the 1980s when postmodern, minimal and abstract dance was becoming popular. Cratty frequently voiced his desire to make dances which entertained. His choreography was praised for its sense of humor, narrative, and humanity and his works were seen as a hybrid of concert dance and musical theatre, combining elements of both with mime and comedy.